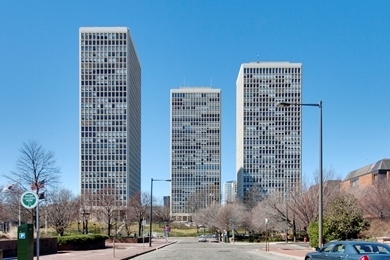 Located at 200, 210 and 220 Locust St. Philadelphia, Pa. 19106- these three towers have long been the anchor of the Society Hill condo set. From studio to three bedroom combination condos, the property is known to be very well managed. Lovely landscaping surrounding the condos doesn't hurt either. Great condos values with great views as well!